In an increasingly regulatory world, the Roetzel Government Relations team provides clients with innovative solutions to immediate business issues improved by legal and political solutions. When desired, we assist clients with developing client specific programs focused for participating in the political system. Roetzel has a wealth of experience in dealing with both the institutions and personalities that fashion laws at the federal, state, and local level. With personnel strategically located in the state capitals of Ohio, Pennsylvania, and Florida, our Government Relations group has immediate access to government officials and bureaucratic regulators and decision makers. We represent our clients' interests before state legislatures, administrative agencies, and executive branches of state governments. We also focus on procurement services at every governmental level. Roetzel has a wealth of experience in dealing with both the institutions and personalities that fashion laws at the federal, state, and local level. Many of our attorneys and non-attorney professionals have experience in elected or appointed government offices, currently hold or have held local and state government positions, and have advised government officials in Washington, D.C., Ohio, Pennsylvania, and Florida. Our group includes current and former general counsels, assistant legal counsels, and city attorneys from a variety of government agencies and legislative entities. Several of our attorneys are registered lobbyists and regularly represent clients before the Congress and state legislatures and other federal, state, and local government entities. Our group is also extensively involved in the practice of administrative law. We provide counsel in the areas of land use and zoning law, environmental law, state tax law, licensure of professions, business endeavors, and other regulatory areas. In addition, our attorneys assist clients affected by determinations and interpretations of rules and statutes administered by state government agencies that supervise county and municipal government in highly regulated areas. Our attorneys handle administrative law matters at the state and federal levels for private clients, which involve permitting, licensure, and related matters. This representation also includes appellate practice. 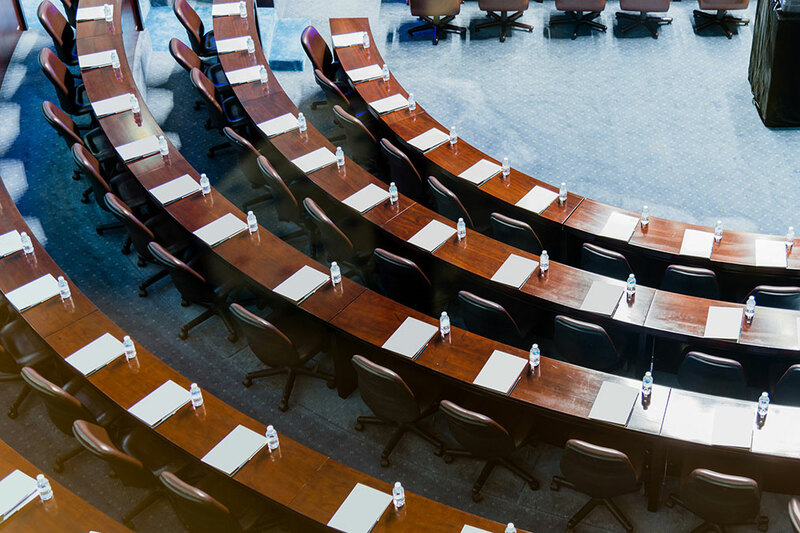 In addition, our Florida Litigation Group represents a number of local governments and cities in administrative hearings and litigation matters.